When rats invade your coastal home in Belleair Beach, it is important to remove them as soon as possible. Rats will seek costal homes as shelter, especially if there is heavy rainfall or flooding. Cohabitating with rats is not just an annoyance; it can cost you hundreds of dollars in damage and expose your family to harmful diseases like leptospirosis and Hantavirus. The longer they stay in your home, the more damage they can do, and the more likely it will be that you develop an illness. When rats move in with you, they will not be afraid to use some of your home’s structure to build their nests. They’ll rip out the insulation in your attic and walls, and chew on whatever is in their way. This can result in electrical fires from frayed wiring. When you call on the services of Critter Control® Tampa, you’ll be guaranteed fast, quality service. You can expect our four-step process to be implemented when a technician is sent to your home. Inspection– When they technician arrives at your home for your free consultation, they’ll locate the infestation and determine how large and how complex it is. Removal– Once the infestation has been appropriately sized up, the technician will work with you to come up with the best plan on how to remove the rats in your home. Restoration– Our technicians are trained in repairing and deep cleaning your home. So once all the rats have been removed, they’ll start the recovery process. This includes restoring attic insulation if needed. Prevention– When your house has been restored to its normal state, we’ll do one last scan to make sure all the entry and exit points the rats made are sealed up tightly, to help prevent any future infestations. When rats make your Belleair Beach home their new home, call Critter Control® Tampa. Don’t waste your time trying to set out DIY traps or ignore the problem hoping it will go away. 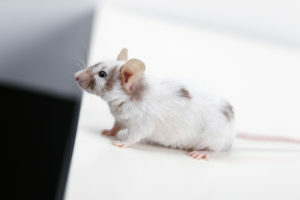 With the help of our professionals, we can remove the rats from your home in no time. Contact us at 813-948-0870 for your free consultation.